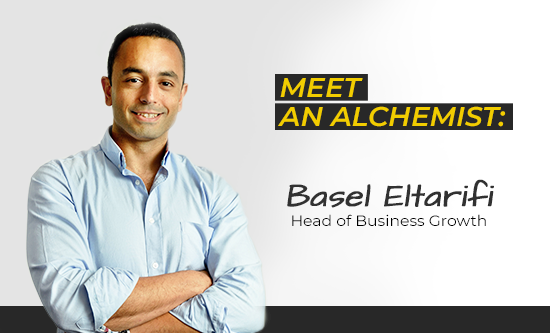 Based at Digital Alchemy’s Melbourne Office in Australia, Basel is known for keeping his cool and ability to demystify complex business problems. Apart from being the biggest Arsenal fan we know, Basel works as our Head of Business growth and helps clients achieve their desired outcomes no matter what. Let us introduce you to Basel, who’s “what if” questions and years of industry experience make him a DA favourite. First things first, what led you to Digital Alchemy (DA)? Before joining DA, I was managing and delivering database marketing solutions across 3 different Australian Telcos. I loved the space and always wondered how it was utilised or operated in different industries. I came across DA while working at Telstra. DA was delivering marketing automation and database marketing services to clients across many industries. That was their primary focus at the time and they did it well. When I had a chance to join DA, it was a no brainer for me, and I’ve been working here very happily for 8 years now. If you would need to define your job in one word, what would it be? Now that you mention transformative, has your perception about data-driven marketing changed since working for DA and what does data-driven marketing mean to you? In answer to the first part of your question: absolutely. Before joining DA, database marketing was mainly about campaign automation with static triggers utilising marketing intuition. In some cases, Marketing Automation at that time was just about automating the ability to blast. When I joined DA, I immediately saw that there was more focus on what goes into campaigns based on desired outcomes. I had to get my head out of the operational side of things and focus on how to deliver customer focused campaigns. I quickly found that every campaign was reported on at DA. There was a constant link to the intended objective, and campaigns were regularly tweaked to improve responses. That focused commitment, coupled with a great operations set up to allow for scale, was really appreciated by our clients. What’s exciting you about the industry right now? I’ve been working in this industry for 15 years now, but there are a few things that still get me excited, for sure. Customer centricity, for a start. Engagement is the focus of just about every conversation among industry experts these days. Technology innovation is, of course, something else to be excited about. The availability of more data and customers being conscious of that are pushing brands and marketers to provide amazing experiences. As someone on the inside, seeing all the new innovative strategies and technology is both exciting and overwhelming at the same time. It’s a challenge I love though. For example, how can we best utilise AI and behavioural science for better personalisation or targeting? Seeing that at work and delivering results is super exciting. You mentioned you have been in this industry for 15 years now. Where do you turn for inspiration? Inspiration is everywhere if you keep your mind open and active. Personally, I find most of my inspiration from friends, books, and TED talks. Setting short term goals for myself is also a great driver. I love my work but it’s important to spend time away from it all as well. For me, spending time with my kids and fishing are the best ways to relax and recharge. And finally, what are the secrets to your success in making positive connections with customers? I take the approach that everything is a hypothesis, always starting with the end result of our customers in mind. To me, it’s no longer just about the big marketing strategy. We should definitely keep that in mind. However, we also need to develop smaller and more-focused strategies, executed in an agile manner to fast track the learning process. Then we can apply what we learn to gain the best benefits quickly. Basically, we need to create a cycle of ongoing testing and learning with data at the centre of everything. That’s how we make the most meaningful connections and add value to everything that we do for our customers.